Happy 30th Anniversary to us! July 1, 1986, Texas Orthopedics opened its doors with our first office on Red River with just two orthopedic surgeons and one physical medicine and rehabilitation specialist. 30 years later, we've grown into the largest orthopedic practice in central Texas with 32 physicians, 15 mid levels, 26 therapists, 200 support staff with six locations. Dr. Bergin, the only founding partner still at Texas Orthopedics, says she never predicted the incredible growth. "I envisioned only a small orthopedic practice, maybe one in which I could be on call once a month or something like that. Dr. Moore (one of my other founding partners) and I were on call every other day initially. We had already talked to Dr. Garcia and Dr. Lutz about joining us when they were done with their obligation to the U.S. Army. So we knew that within a few years there would be four orthopedic surgeons and one physical medicine and rehabilitation specialist: one for each day of the week, and one surgeon for every fourth weekend. We could have time for our families and be plenty busy with every fourth weekend on trauma call. If you had told me back then, that there would be over 30 orthopedic surgeons in the group within 30 years, I would have said, 'No way'! And our philosophy has not changed. We love helping our patients get back to what they love most by providing a quality, individualized care experience. 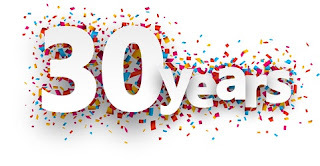 For the past 30 years we've committed to providing exceptional, comprehensive care through our collective skill, knowledge and compassion and we'll continue doing so for the next 30 years! Our biggest thanks goes to our patients and their families for trusting us with their healthcare needs.